Having grown up near Princeton, New Jersey, Janet decided in sixth grade she wanted to be an architect and never strayed from the path. After earning a Bachelor of Architecture degree from Syracuse University in New York, she entered the Princeton corporate world, later took a sojourn to Jackson, Wyoming and fell in love with the west. Janet spent the next few years interning in Jackson, then moved on to Summit County, Colorado, where she has resided since 1982. She began work as a project architect for Witter Architects in Keystone until their relocation to California in 1986 and has owned and operated her own practice ever since. 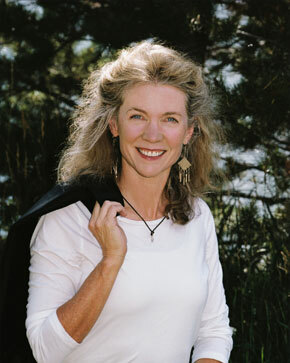 Janet has been a licensed architect in the state of Colorado since 1984. She has served on numerous architectural review boards and the Town of Breckenridge Historic Preservation Committee since inception. Educational involvement includes mentoring Colorado Mountain College and Summit High School students. Outside of architecture she spent many years developing and coaching girls’ youth hockey programs statewide. Currently Janet serves as a board member for the Breckenridge Heritage Alliance. Her love of design inspires an unrelenting effort to improve the built environment, and to keep new projects in harmony with the natural beauty and historic legacy that define our community. Janet and Leonard have worked together as a full service architectural collaborative since 1986.